← Anti-vaccine chiropractors 55 – so bad it's like we stepped in something, or Clicking the Pug. On September 19 2014, in Seattle, there is a happening. 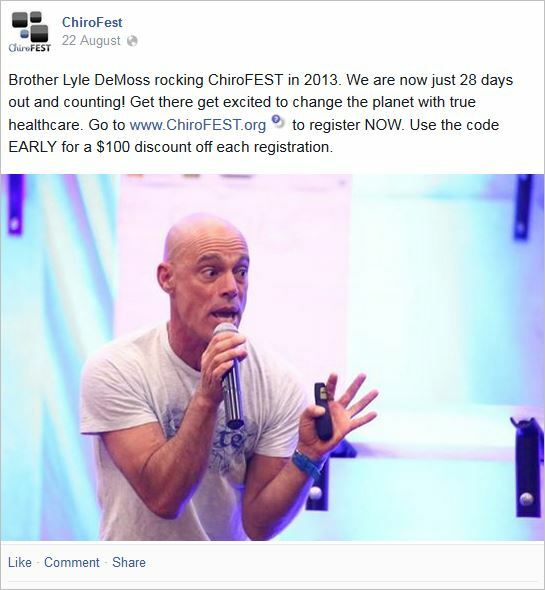 It’s called Chirofest. 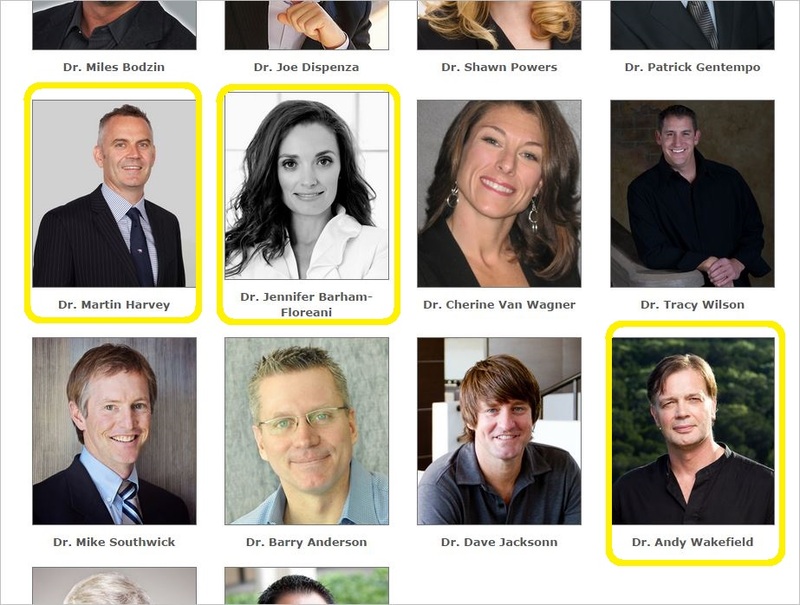 Two Australians are appearing on the bill: Jennifer Barham-Floreani, the anti-vaccine chiropractor we’ve met many times, some of those because she appears in photos with anti-vaccinationists after appearing on the same festival bill as them; and the anti-vaccine president of the Australian Spinal Research Foundation – the board of governors of which is 89% anti-vaccine – Martin Harvey, previously seen here innating with the anti-vaccine lads. Both Harvey and Barham-Floreani are/were members of the thoroughly discredited anti-vaccination pressure group, the Australian Vaccination (now) skeptics Network. The ASRF is a registered charity. Its prime area of research is the magical subluxation. 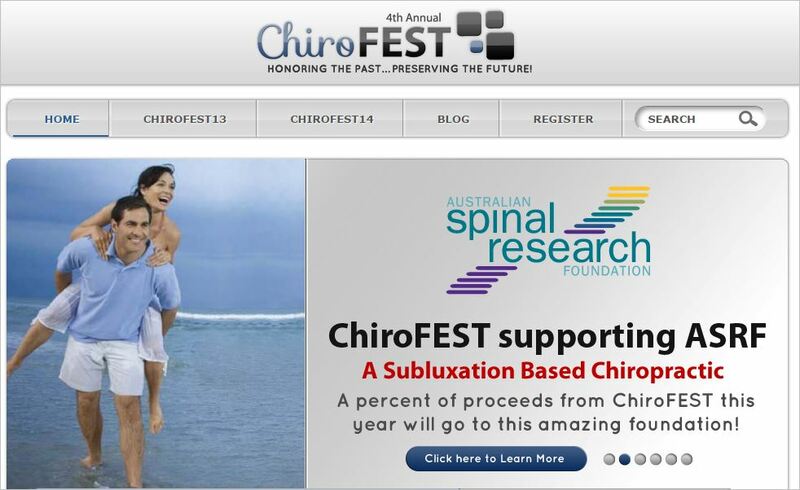 I’ll say that again: the ASRF is a registered charity whose main aim is chiropractic research, the board of which is 89% anti-vaccine, whose main area of the aforementioned research is the magical, mystical, invisible vertebral subluxation complex. It’s time for more evidence-based chiropractors to start demanding to know what is happening with the November 2013 promises of Laurie Tassell. There is no point critics like myself, outside the profession, seeking answers. They don’t even return my emails. Enough evidence has been presented against Harvey and Barham-Floreani, in my blog posts alone. What is the CAA doing about it, and what has the Chiropractic Board of Australia got to say? This entry was posted in anti-vaccination dishonesty, australian vaccination network, AVN, chiropractic, skeptic, stop the australian vaccination network and tagged AHPRA, Andrew Wakefield, anti vaccination, ASRF, Australian Health Practitioner Regulation Agency, Australian Spinal Research Foundation, australian vaccination network, Australian Vaccination Skeptics Network, Australian Vaccination Skeptics Network - HCCC Public Health Warning, AVN, AVsN, Billy DeMoss, CAA, CBA, Chirofest, Chiropractic Board of Australia, Chiropractors' Association of Australia, Jennifer Barham-Floreani, Laurie Tassell, Martin Harvey, meryl dorey. Bookmark the permalink. Time for the ASRF to eject Martin Harvey and the CBA/AHPRA to make an example of him. How does Wakefield get away with still styling himself ‘Dr’ when he’s been deregistered & totally discredited? Wakefield? Well… Good. His presence shows supporters and attendees to be remarkably ill-informed.